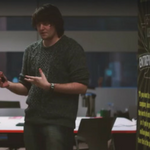 Jonathan co-founded Rebourne Studios in early 2014 whilst studying at Bournemouth University. He’s currently developing Rite of Life, a player-driven life-sim RPG which was funded through Kickstarter. He’s also a STEM Ambassador and a member of the BAFTA Crew Games programme.